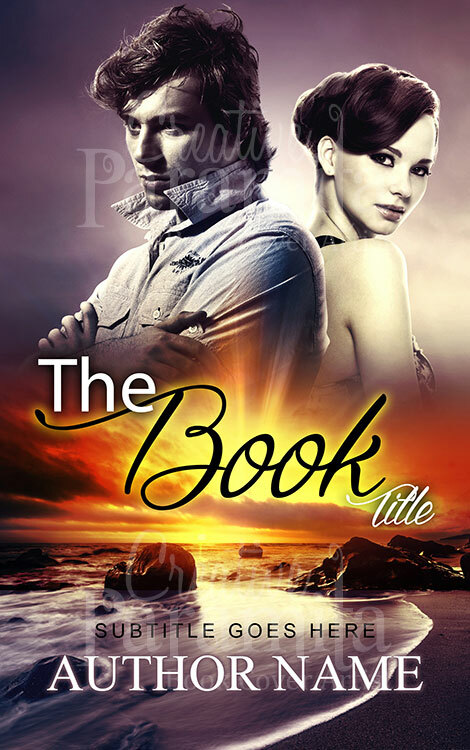 Premade book cover for fantasy adventure genre. 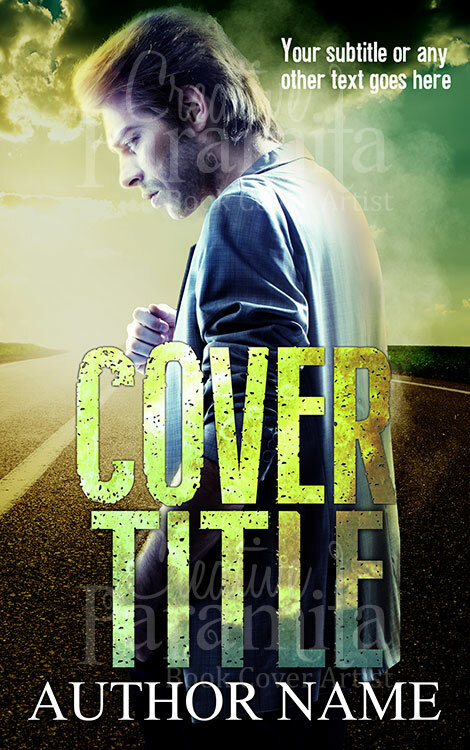 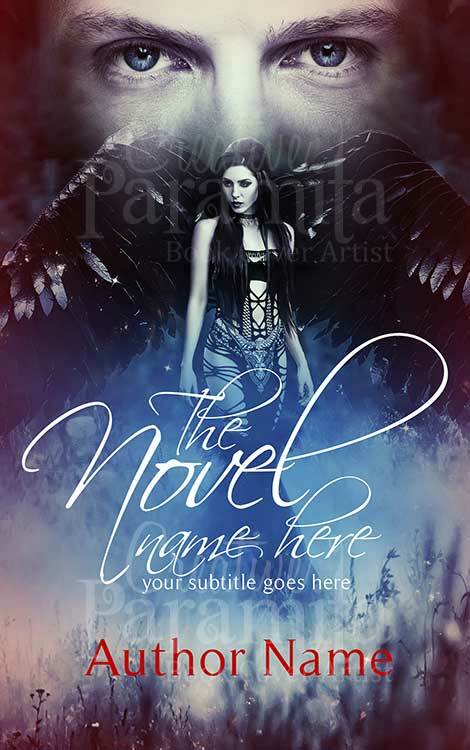 Beautifully colored and fantasy style fonts for the book cover title to grab attention quickly. 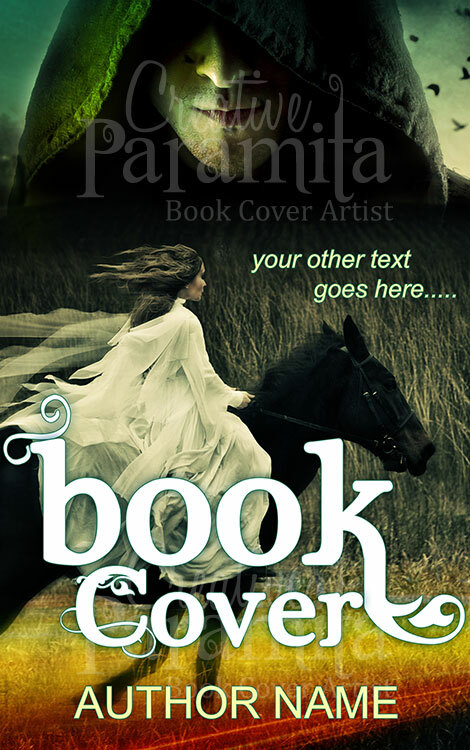 A woman in white dress rides away in a black horse her dress flows behind with the wind, as she rides through the open fields. 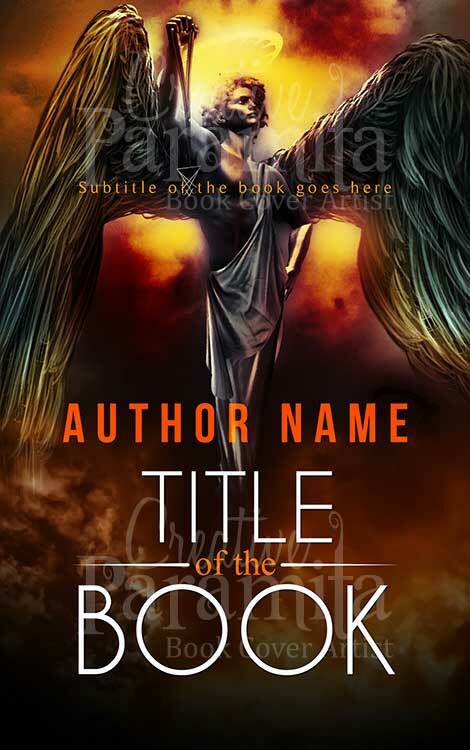 To add more dramatic effect, face of hooded man been introduced in the sky, who is watching over her every move.